Our inner Daler Mehendi is going 'Tunak Tunak Tun' on full mode, after our last visit to South City. Delhi's iconic restaurant chain Pind Balluchi has finally arrived in Kolkata (slow as it may be) to give us a taste of un-Bengalified north Indian fares. Need you more reason? Taking a tour of north India without leaving home is now possible whenever you hit up South City Mall. The golden deer of Pind Balluchi has finally pranced its way into Kolkata, and though late, we are not complaining about the butter chicken or the biryani. A classic age-old restaurant brand that dots across the ever-increasing extents of the capital city, Pind Balluchi is Delhi's go-to place for the best of everything tadka marke. When everyone else is shoving fusion food at your face, Pind Balluchi still serves the classic (and over exposed) murgh makhani, and there's no denying the foodgasm you get when the tandoori roti meets the butter chicken to melt into your mouth. Dal makhani, shahi paneer and pindi chole – when it comes to Punjabi food, Pind Baluchi is a no-brainer. Meaterians can have a field day with their appetisers – the Gilafi chicken seekh, Aghani murgh and fish Amritsari are not to be missed. The ones on diet or have a sickly purse to care for, the combos and thalis are a good option to try. We can't wait for a proper Pind Balluchi restro to open in the city. But until then we are happy to make do at this express counter at the South City Mall food court. 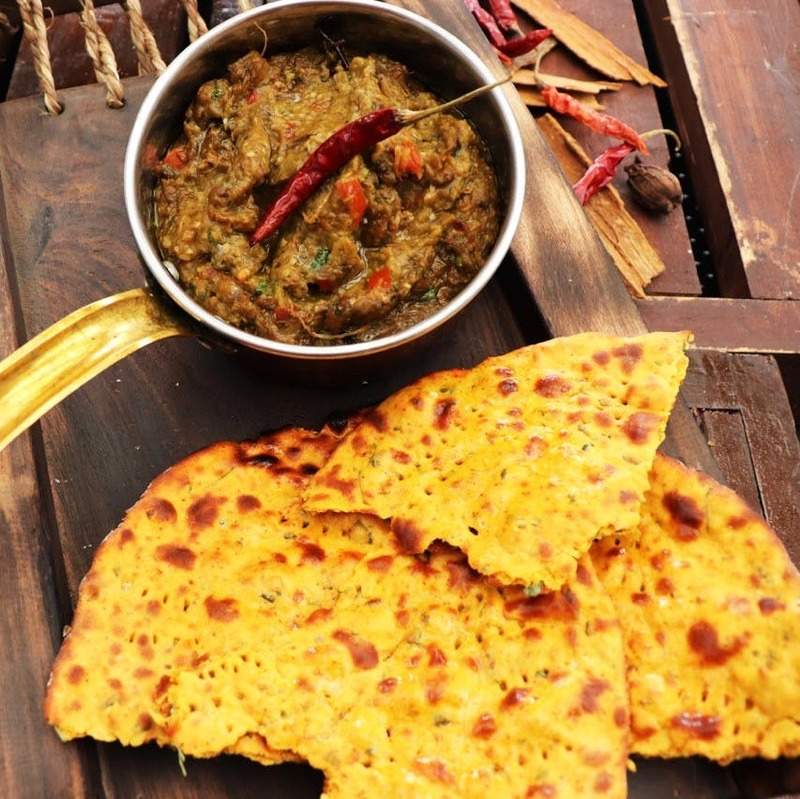 Seasonal faves like sarson saag with makki roti and gajar ka halwa are a hit at Pind Blluchi. There's also the essential matka kulfi for the muh meetha after meal.